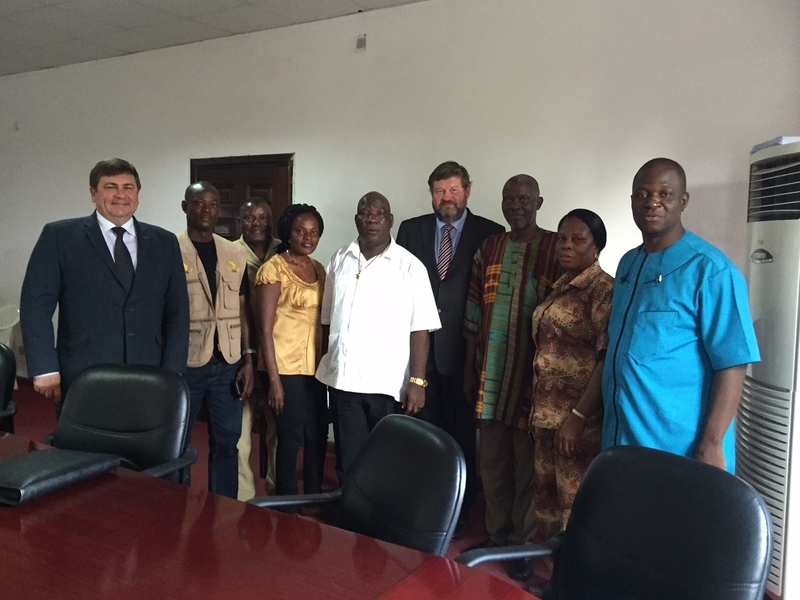 Chairman of the Estonia-Africa Parliamentary Group of the Riigikogu (Parliament of Estonia) Mart Nutt and Deputy Chairman of the Parliamentary Group Mati Raidma are on a working visit in Liberia to learn about the progress of the development aid projects financed by the European Union and to improve parliamentary relations between the two countries. 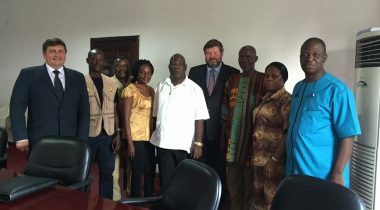 “It is positive to note that Liberia is overcoming the serious crisis connected with the largest outbreak of Ebola in history. Now Liberia can deal with the projects that contribute to the development of the country, like the Mount Coffee Hydropower Project, which is being reconstructed and reopened with the help of the European Union,” Mati Raidma said. Raidma explained that the Mount Coffee Hydroelectric Power Station had been destroyed during the civil war in 1990, and since then electricity had been produced in the country only with local diesel generators. “A great role in coordinating the aid is played by the Head of the Delegation of the European Union in Liberia, Estonian diplomat Tiina Intelmann. It is an honour to witness that the developments in that society, which is in a very severe situation, are supported by such an efficient Estonian,” Raidma noted. At the meeting with the members of the Parliament of Liberia, the importance of cooperation and the necessity of exchanging experience were highlighted and Estonia’s possible contribution to the development of Liberia was discussed. In Mart Nutt’s opinion, Estonia can offer its know-how to Liberia in several sectors, like IT services and taxes. “Liberia is a West African country that declared its independence in 1847. It is rich in natural resources. At the same time, there is a great demand for several food products that are produced in Estonia. For example, milk powder and canned fish,” Nutt said. Nutt and Raidma also met with President of Liberia Ellen Johnson-Sirleaf. Their working visit will last until 7 November. It is also planned to meet with the Minister of Foreign Affairs, Minister of Justice, Minister of Finance and the Minister of Social Affairs of Liberia, and the heads of the customs and taxes board of the country.